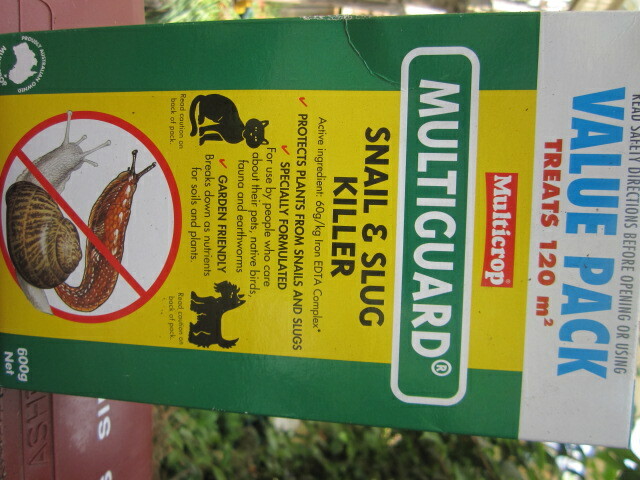 324/366: to snail bait or not to snail bait? 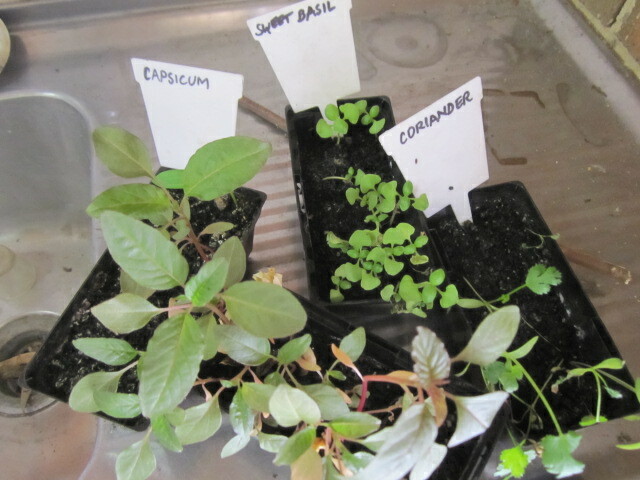 Because I decided to do a little companion planting, of basil, coriander and capsicum, I wanted to protect the little seedlings from snails. 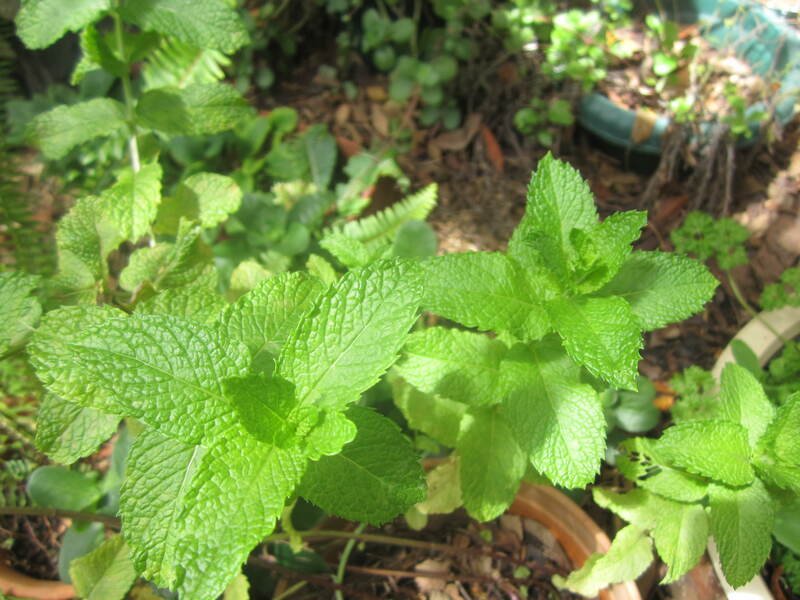 While I really try to not use chemicals in the garden, (though I don’t know how long I can last, as all the weeding I do by hand is taking its toll on me), I wasn’t sure where snail bait stood in the grand scheme of trying to be “organic”. 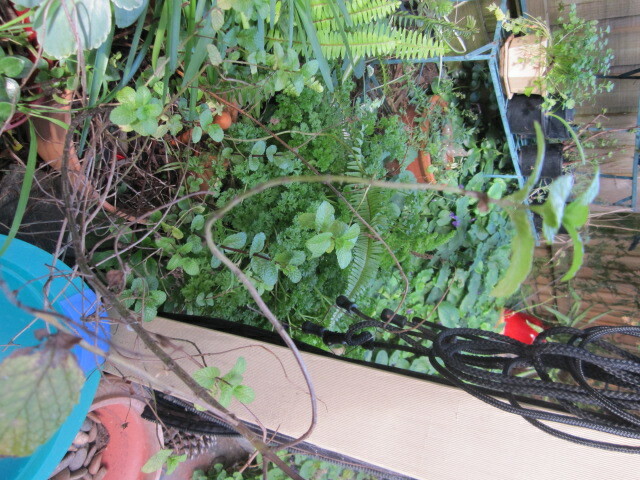 The other consideration, obviously, was potential danger to my darling cats. 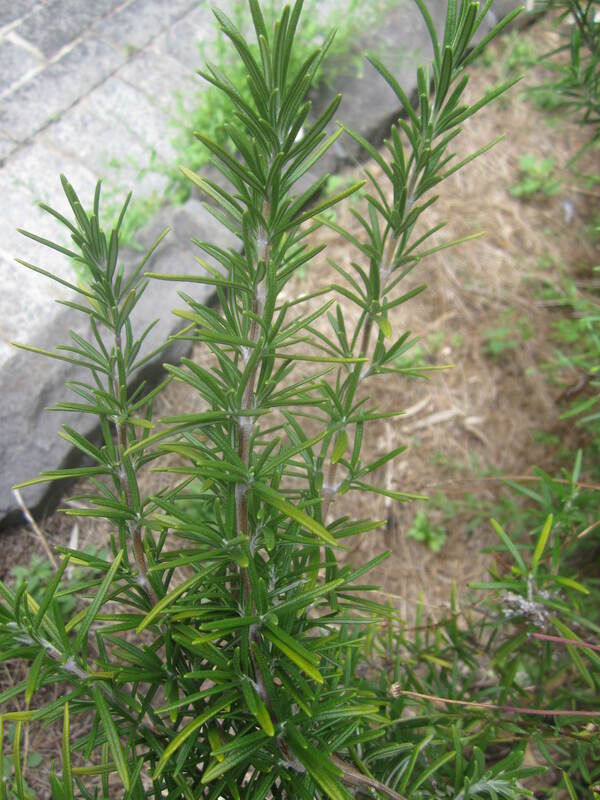 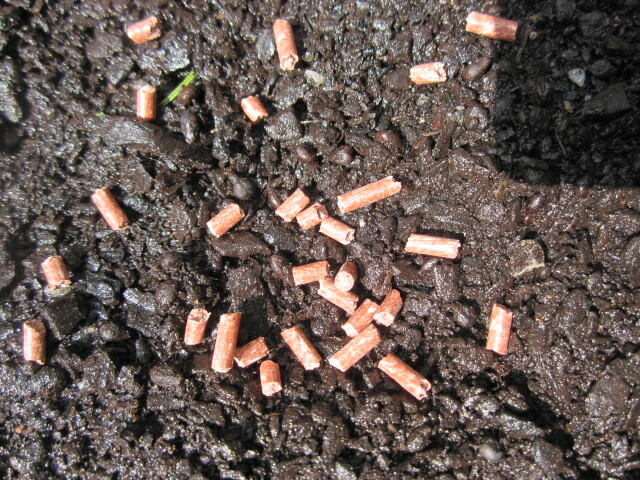 However, reading the information on the outside of the pack, it appeared that it was safe for pets, and the ingredients would break down to become nutrients for the soil. 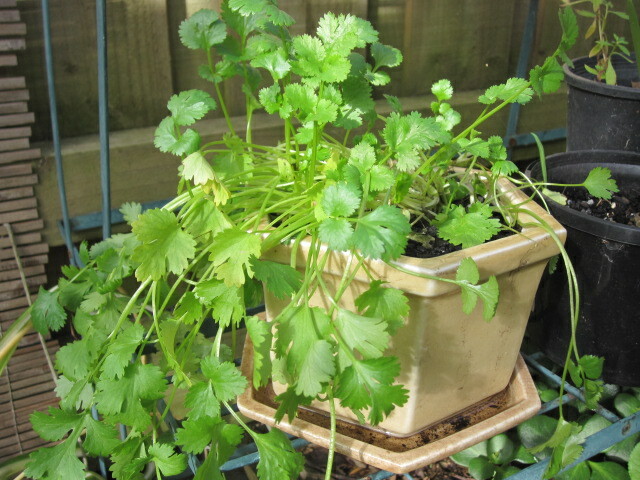 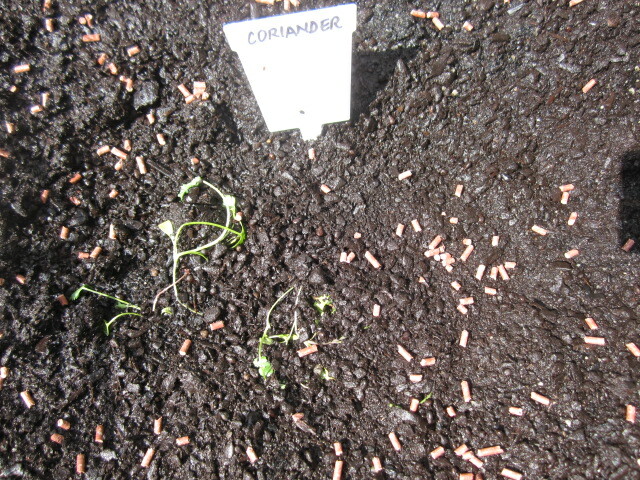 It will be interesting to follow the progress of this coriander seedling, as I have actually grown it from a SEED! 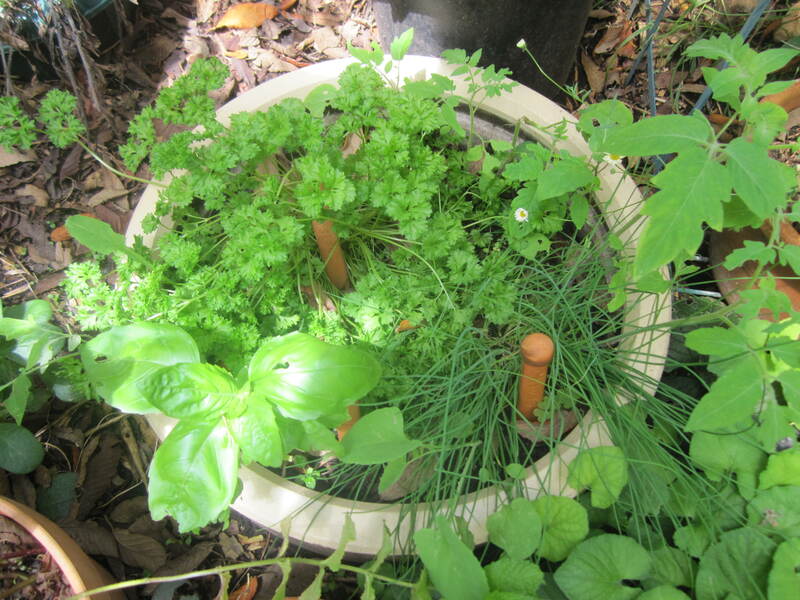 In other years if I have attempted growing herbs or vegetables, it has always been from seedlings, so I guess that’s another notch for personal growth! 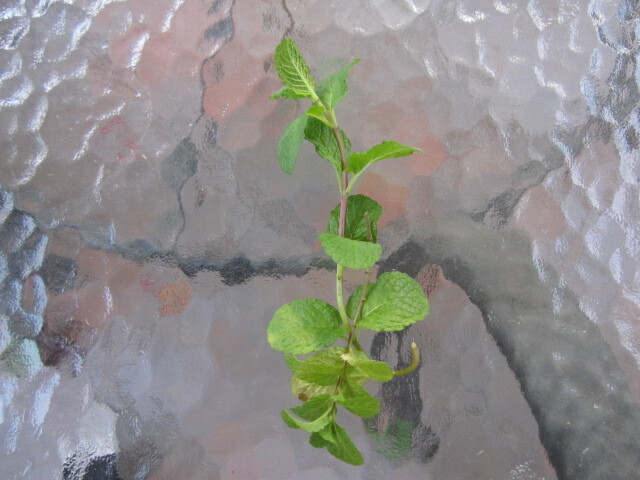 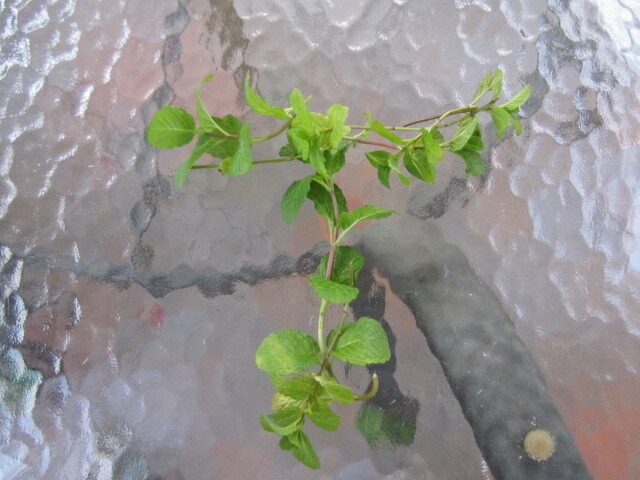 My mint bush was looking rather straggly, so today I snipped and trimmed it, hoping to encourage some better growth. 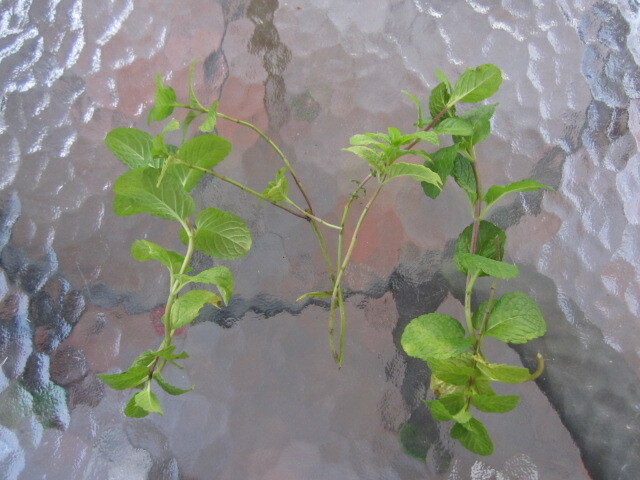 With the spare pieces, I played with them a little, before planting a few as cuttings. 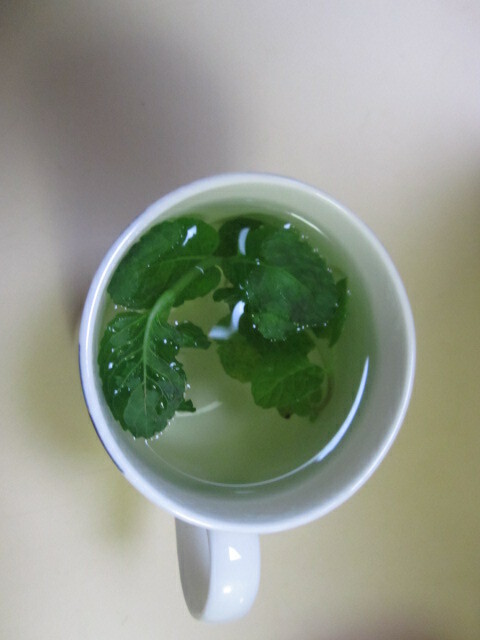 Lastly, I made a lovely cup of mint tea, hence the title of this post: min T.